GRAND RAPIDS, MI -- Meijer now offers perfectly-imperfect produce for customers who want to reduce food waste at a reduced price. The new line of Misfits produce offers an assortment of misshaped, discolored, or scarred fruits and vegetables for a reduced price. The program was started in an effort to reduce food waste. Meijer said the produce may be imperfect, but it will still offer the same taste, freshness, and quality what you would expect. Based on availability, the discount can range from 20-to-40 percent off on items like apples, bell peppers, lemons, limes, and sweet potatoes. Customers can find the discount food in Misfit bins in the produce section at their local Meijer store. The Misfits program started earlier this month and customers have already purchased close to a quarter of a million pounds of fresh, perfectly-imperfect produce. The program is made possible through Robinson Fresh, a company that works with farms to repurpose fruit and vegetables that would otherwise not make it to a grocery store. 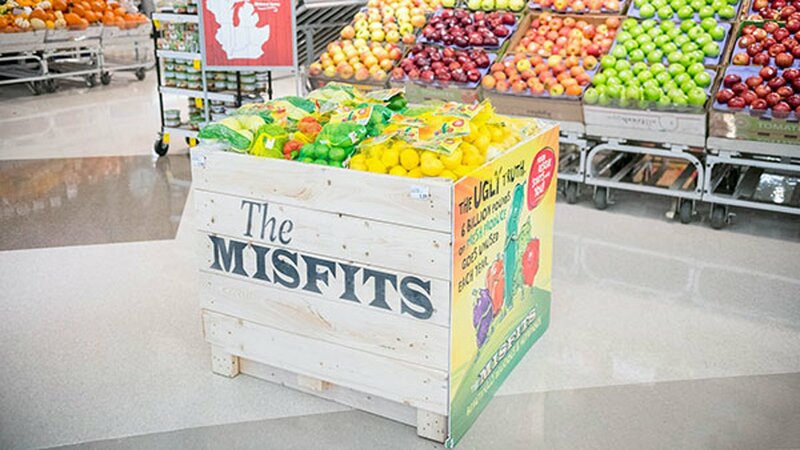 "Meijer offers more than 600 types of produce, so the Misfits program has been an incredible extension to our overall selection," said Peter Vail, Vice President of Produce, Deli, and Bakery for Meijer." There is an inner beauty of this perfectly-imperfect produce. Our customers have responded well to the produce made available through the Misfits program."